Olive oil is more than a salad dressing ingredient. 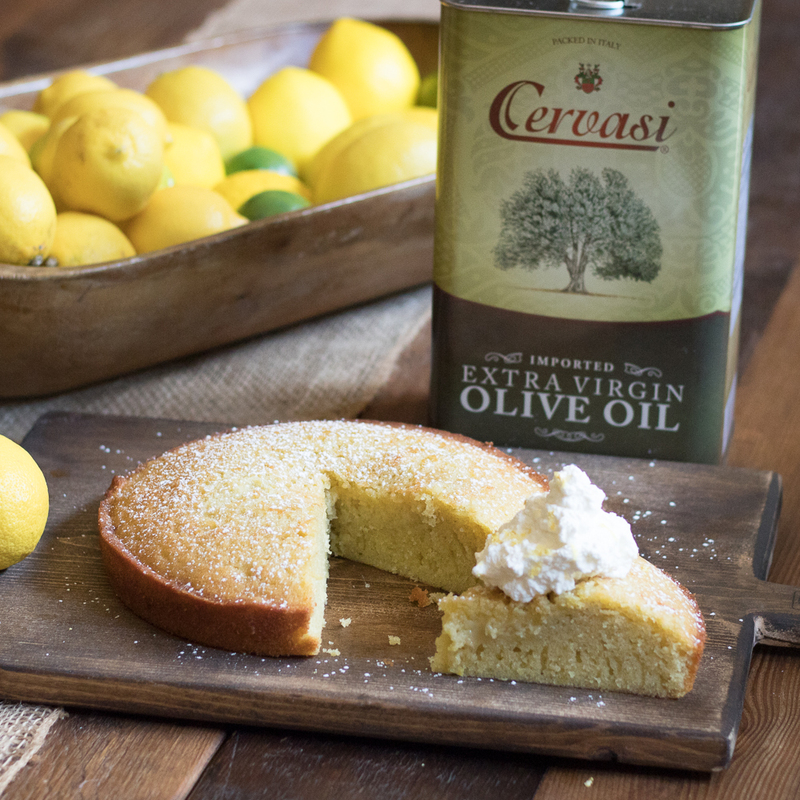 Try this fun olive oil application in this delicious lemon cake recipe, courtesy of Lauren Lane. You can find this recipe and more from Lauren at lauren-lane.com. Preheat oven to 350℉ In a 9-inch wide cake pan that is at least 2-inches deep, oil, butter or pan spray bottom and sides. Line bottom of pan with parchment. In a bowl, whisk together flour, sugar, salt, baking soda and baking powder. In a separate bowl, whisk together olive oil, milk, eggs, orange zest, orange juice and Limoncello. Add dry ingredients to wet ingredients and whisk until just combined. Pour the batter into the prepared pan and bake at ????? for about 45 minutes, or until top is golden and a toothpick comes out clean. Transfer to a cake rack and let cool for 30 minutes. Run a knife around the edge of the pan, invert onto the rack and let cool completely (about 2 hours). Dust with confectioners sugar or top individual slices with whipped cream. The cake can be baked 3 days ahead. Store loosely wrapped at room temperature. You can substitute marmalade for the Limoncello. This recipe is also great for brunch or breakfast muffins.